Migraine is a type of headache, which results from specific changes occurring in the brain. These changes cause severe head pain along with light, sound, and smell sensitivity. When you have a migraine headache, you feel a severe throbbing pain or a pulsing sensation, often only in one side of the head. In addition, the pain is accompanied by vomiting and nausea. Migraine attacks can cause significant pain that lasts for hours to days. It can even become so severe that the pain experienced is disabling. Usually, there are warning symptoms that you may experience a migraine soon. As a warning, you may experience an aura, which may occur before or with the head pain. Common aura experienced includes blind spots, flashes of light, or a tingling sensation on one side of the face, in your arm or the leg. There are other types of migraines as well. Common migraine, which doesn’t have an aura. Classic migraine has an aura before the headache and is more painful than the common migraine. Hemiplegic migraine comes with stroke-like symptoms including one side of the body feeling weak, the ‘pins and needles’ feeling and loss of sensation. Acephalic or a silent migraine, which has an aura and other characteristics of a migraine but without the head pain. Retinal migraine, which causes a temporary loss of vision in one eye, which can last for minutes to months. Migraines usually begin in childhood, puberty or early adulthood. There are four stages to the process of a migraine starting from prodrome, aura, headache, and then post-drome. However, you may not necessarily experience all the stages. 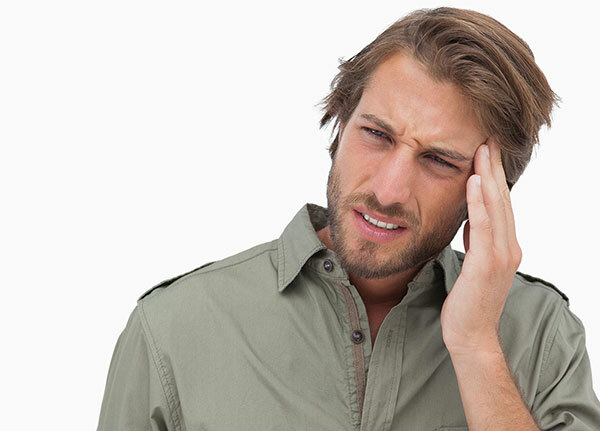 Below is a list of the common symptoms experienced during the different stages of a migraine. The treatment for migraine depends on a number of things. The factors include how frequent the migraine occurs, the pain relief, the type of medicines prescribed, and how long these medicines last. All these play a role in how well the symptoms ate treated. The medication to treat an acute migraine vary, which may include over-the-counter drugs such as ibuprofen, naproxen sodium, and acetaminophen. Treatment to acute and chronic migraine may also include prescription medications. You may also try pain relief treatments such by massaging the head. In addition to these medications, Triptan can be used as well. Triptans such as rizatriptan, sumatriptan, naratriptan, eletriptan, and more may be of great help in treating migraine symptoms. They are usually prescribed to treat a migraine at home, but not every patient can take them. Other medication regimens you can try include Dihydroergotamine, Diclofenac potassium, and Antiemetic medications.